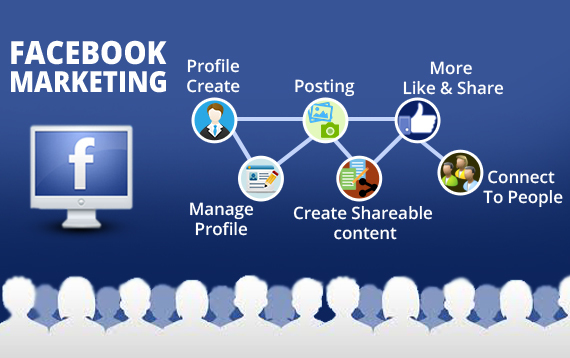 Facebook marketing is becoming more and more popular to most companies and businesses in the world especially in the era of Industry 4.0. Besides running a store on Shopify platform, selling your products and service on Facebook is also an ideal strategy to expand the market and increase conversion rate. Facebook is the most effective marketing channel because it is the largest social media with over 2271 million active users. However, the Facebook algorithm is changed recently, the effectiveness of Facebook marketing will decrease if you don’t update the new methods. Based on this information, you will have an understanding of their reactions and emotions toward content. Many people like cute animal content, some audience love inspirational speech, while other followers find funny videos very exciting. Therefore, you can provide the right content to the right audience and customers feel easy to engage in your post and make your content go viral easier. In addition, the connection works best on the right target because different shopping behaviors need different approaches. It is better to find out what clients want and like to purchase. This takes you one step ahead in e-commerce. Hence, it is necessary for you to define your targeted customer segment and focus on creating content for them exclusively. If you can do that, you have more chances to convert your audience into paid customers better. Moreover, you can also drive your engagement further by storytelling because it is likely to attract clients and keep them stay longer than other types of content so that they feel being cared of and they hardly resist the temptation to browse your items. As a result, you can build a human-to-human connection via Facebook marketing. For example, Marvel fans are very keen on everything relating to Marvel characters. So, they will share the same interest with the fans: collectibles. They get the human-to-human connection between Marvel collectors because they understand the importance of Star Wars merchandises toward collectors. Therefore, they can convert these collectors into customers. There is a fact that discount and offer can boost your sales. If you can take the best advantage of this campaign, you can get the best result from it. There is a term that “FOMO – Fear of Missing out”. It means that people should encounter an ending-soon beneficial chance. It generates fear of regret, so consumers tend to make a purchase faster. You should set up the FOMO offer with attractive content. Emphasize the opportunity cost to show clients what they’ll lose if they don’t act. There is one thing you must notice that the deal has to be attractive enough to make consumer concern about purchasing. Moreover, you can also make customers feel rushed about the losing deal by showing a countdown timer. Nonetheless, don’t overuse FOMO because it can create a bad mood for your customers. Be wise to use it to get the best result. You can try out Discount Master to create many discount campaign with no cost. The world is changing every day, so it is important to keep up the pace to any latest trend including the picture, emoji, or quotes. Besides the face of the brand, fast response is also the advantage of one business. You should be quick to answer the question of shoppers when they are considering your items, then convince to convert them into buyers. Most people are impressed by the quick and helpful response, so it is the key to a successful brand. To stay connected, you should use Facebook Chat Box which shows Facebook Messenger chatbox on your site to allow customers to leave their question or message. Then the conversation is saved on the Messenger Platform. You just need to install it and connect your Facebook page account. Besides, you should find the questions about your customers in many social media and forums and answer them to convince customers to buy your items. It is great for your branding effort if you can make a catchy, attractive trademark regarding logo and slogan. As a result, people will think about your brand whenever seeing that logo. Thus, they will find out your products and consider buying them. For example, when people see McDonald’s, they always think of their “I’m lovin’ it” slogan and reverse. There is a fact that creativity takes the most important part in succeeding in Facebook marketing. You can create awesome and interesting ideas for your social media and campaigns with your creativity. Besides, funny and inspirational content have the most interaction. Therefore, try to build your brand with attractive content. People usually watch video on Facebook, so creating and uploading video can catch the attention of users. You can direct your Facebook marketing effort to create advertising videos or make use of Facebook Live to introduce your products and answer the live question. In addition, Facebook has just released a new monetizing method using Video content: Ad Break. Therefore, if you produce a video, you can earn money from both selling products and Facebook Ads. Locowise said that people usually watched a third of a video on average, so you should make the first third awesome to keep their attention. Many small brands focus their Facebook marketing effort on their community. They don’t invest much in pricing competitive or outbound marketing, but on productivity. If you make your products better and better day by day, customers will feel being well-treated and certainly have good words on your business. A good way to create a community is creating a group for your products. Your Facebook group is the place where your customer can talk, feedback, review, exchange knowledge, tips, and you can provide support, tutorial, and guidance. If you can take care of this group well, you can turn leads into loyal customers. People will always head to your group rather than anywhere else whenever they are having any matter with the product. When you build a helpful and happy community, you can create trust and authentic about your brand. Hope that you can get success with these Facebook marketing tips.